Why should AFF matter to Army families? You are here / Home / Why should AFF matter to Army families? Let me begin with a question: what is AFF? If you’re an Army spouse, AFF is probably the charity you turn to when you want the latest information affecting your family, or you’re just at the end of your tether with some aspect of Army life. Living in a quarter? You’ll know we can support you with your housing issues. Perhaps you’re a Foreign & Commonwealth (F&C) family who’s needed help with your visas? The simple answer is, there is no simple answer! 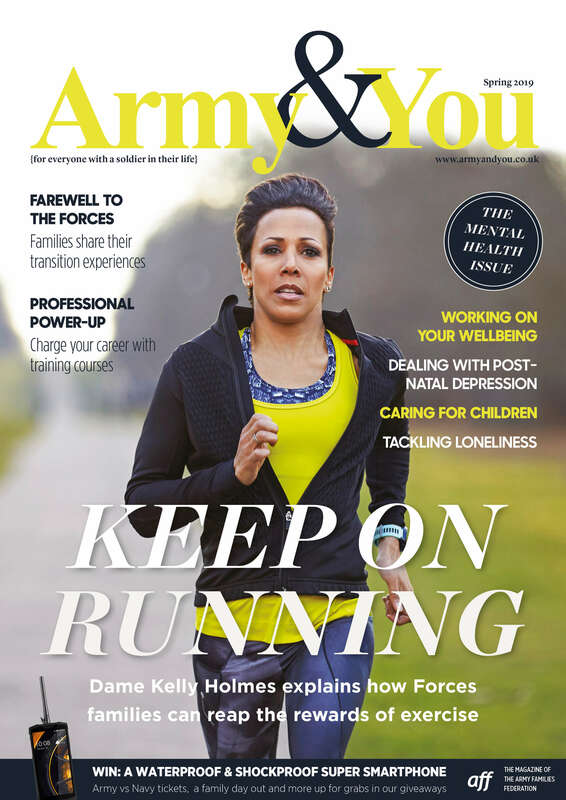 We’re not just a group of people who want to help and support Army families. Our humble beginnings as the Federation of Army Wives is as much a part of us today as it was 35 years ago. Did you know, for example that 98% of us are military (or ex-military) spouses? We even have a fair few who’ve served themselves, Regular and Reserve. Yes, we’re living in the magnolia houses, yes we are saying goodbye to our other halves for months on end, yes, we’re moving all around the country, and the world, just like those we’re trying to support. We’re driven by passion and a proper understanding of the challenges you’re facing and achieving successes on your behalf makes us feel good! We’re adept at pushing for the positive changes you want to see, covering a range of issues like schooling, employment, future housing and supporting a fairer deal for our F&C families. While you may see us at local events and coffee mornings, you probably won’t realise that we’re also often at MOD main building in London, or talking to politicians in Scotland, or meeting the Defence Secretary in the Cabinet Office. Why is this important? Because these are the meetings where decisions are made that affect you, and we want them to be influenced by your experience of Army life. Your involvement with AFF is absolutely vital, and without it we wouldn’t exist – we couldn’t exist. If you’ve followed AFF for a while, you’ll know that we like our surveys! We like to hear your opinions, good and bad, raw and unabashed. As powerful as each individual comment can be – such as the ‘chicken in the oven’ scenario from our historic move-in survey (hint: it wasn’t a moving in gift! ), put together, your views and suggestions are extremely influential. They carry a significant weight we can utilise in your favour. They are our very reason for being here. I began by asking ‘what is AFF’, but the real question is ‘why should AFF matter to your family?’ Next time you have an issue, a question, a comment or an idea – share it with us so we can use it effectively. We want to hear from you, we want to help and, above all, we want to make a difference for Army families everywhere. This is a really great idea! I love the idea of a more human voice behind the AFF brand. Keep it up!